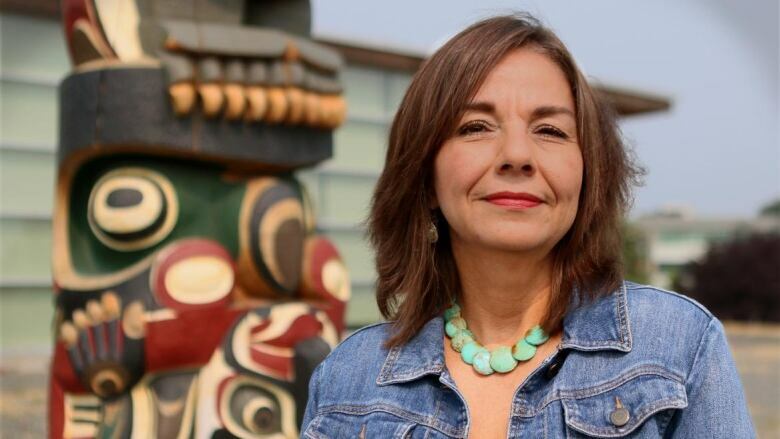 Virginia Drywater-Whitekiller knows first hand some of the challenges of sticking with post-secondary education and is bringing that background to her new position as visiting chair in Aboriginal Studies at Vancouver Island University. Drywater-Whitekiller, a member of the Cherokee Nation in the United States, began pursuing post-secondary education as a single mother to build a better life for her child and herself. She became the first university graduate in her immediate family. "I'm always fascinated at the ability that higher education has to change people who go through the doors and come back out," she said. "I've seen myself how it has the potential to uplift individuals and communities and tribes." She won the 2018 Fulbright Canada Jarislowsky Foundation visiting chair position and will be at VIU until December. After getting a doctoral degree in higher education administration, Drywater-Whitekiller began working as a professor at Northeastern State University in Oklahoma, which has the highest retention rate in the United States for Aboriginal students. Drywater-Whitekiller said she thinks that's in large part due to the school's history — it was originally founded to support Indigenous learners and 25 per cent of students at NSU now are Indigenous. Drywater-Whitekiller will be at VIU for the fall semester, researching how to support First Nations students in higher education for better college retention. The research focuses on the cultural factors that help students enter and complete college, she explained. "Her approach to research and her focus fits well with VIU's commitment to supporting Indigenous students and communities," Dr. Carol Stuart, VIU Interim Provost and Vice-President Academic, said in a press release. "Dr. Drywater-Whitekiller's research will help us understand success from a student perspective."